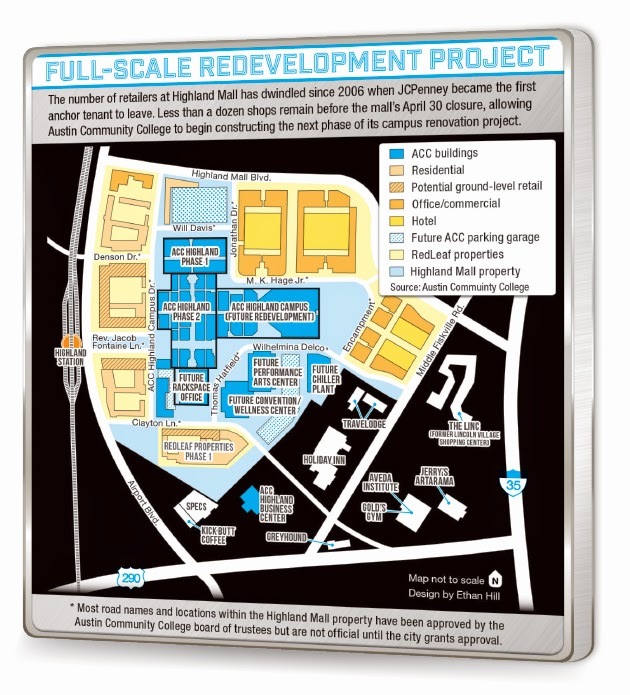 Highland Mall, which has recently been transformed into Austin Community College's Highland Campus, will take its final retail bow April 30th, 44 years after it first opened, Community Impact reports. Although no anchor tenant has occupied the mall since 2011, there were still a few retailers left in the mall. Those retailers will have to close at the end of this month so ACC can start development on the next phase of Highland Mall's transformation, which will cost $152.8 and revamp the mall's central area. In June, ACC's board will review architect's design proposals and narrow the choices down to three to five finalists. The project takes advantage of the number of modes of transportation convenient to Highland Mall, such as bus, train, and highways, with the goal of educating Austin's future workforce. Many of the displaced retailers will move to the the nearby Lincoln Village Shopping Center, which has been renamed "The Linc" and is undergoing its own revitalization. At Highland, Rackspace is in negotiations to relocate to the former Dillard's and the area around the former mall is being redeveloped into mixed use. The developer for that land, which comprises 35 acres, plans to include residential units, hotel space, office space, and retail. The first project, a residential mid-rise with ground-floor retail, should be complete by mid-2017. Want in on the Highland area's transformation? Looking to be near "The Linc" where Easy Tiger will have a beer garden and stage and Vivo will offer their delicious Tex-Mex? Or maybe you work or attend school at ACC Highland. No matter what your reason for living in the area, Austin Apartment Specialists can help you find an #apartment that's perfect for you. Give us a call today at 512-241-1111. When you rent, it may feel like you can't make a space truly yours, but with Apartment Therapy's tips, you can inject your #apartment with style using non-permanent changes. You may not be able to paint the walls, but you can paint or add details to a piece of furniture you already have to make it, and your home, a lot more unique. Removable wallpaper comes in a large variety of styles and can make a huge statement in your apartment. Feeling like that's too much? Framing a square of the non-removable variety of wallpaper can have a big impact as well. Apartments often come with flooring that's past its prime. By layering rugs over beat-up floors, you can make an eyesore a focal point. 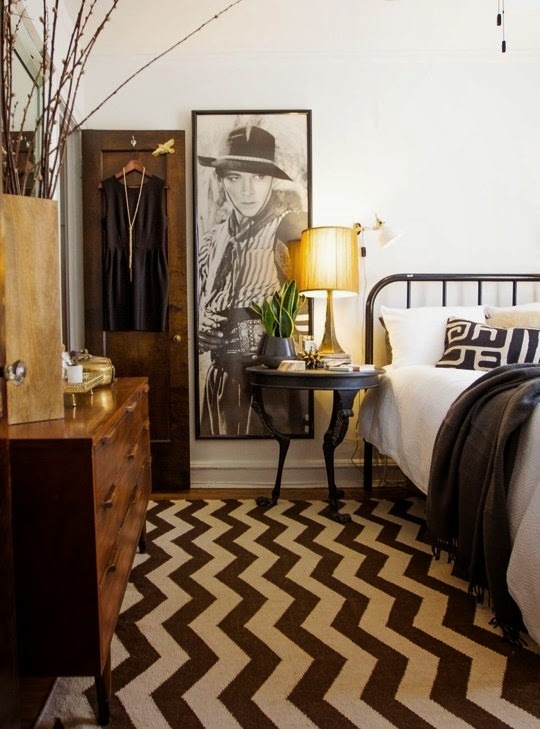 Smaller rugs are often cheaper, so layering allows you to have high style without the big price tag. Lamps are a must to bathe your home in beautiful light, which makes any rental look better and you can add light without adding holes to walls or ceilings. Large art makes a large impression on a space, but it also tends to leave a large dent in your wallet. So make your own! If you can't hang things on your walls because it would leave holes or they're made of cinderblock, lean it against the wall. Often rental bathrooms and kitchens have zero personality. Try injecting some by using temporary products on the backsplash. 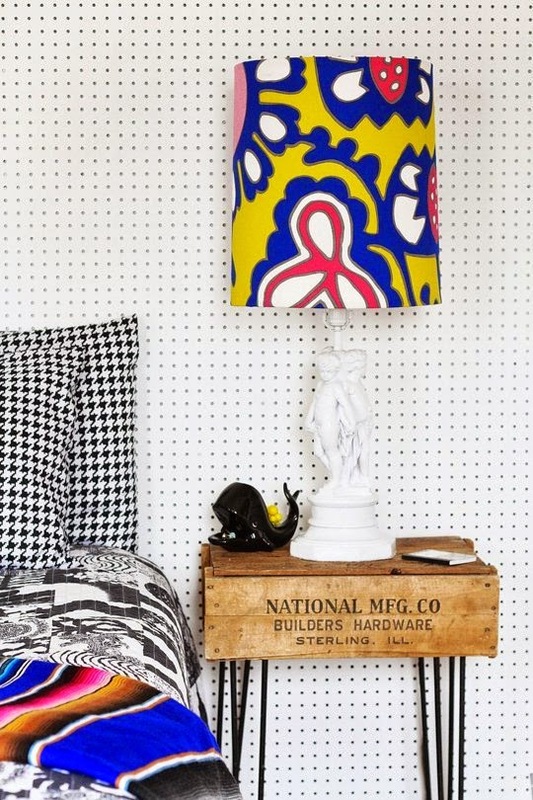 Ready to find a new apartment you can inject some personality into? Give Austin Apartment Specialists a call today at 512-241-1111. 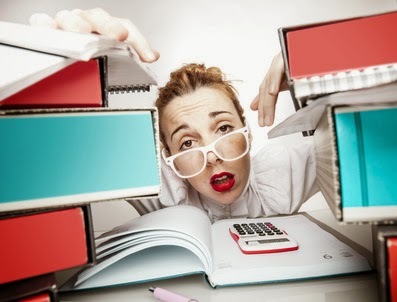 Are you chronically stressed out at work? Always feel you have too much to do and not enough time to do it? Fast Company helps with some coping mechanisms that will give you energy and prevent burnout. Try reorganizing your day using "job crafting". Job crafting is about organizing your day in such a way that you do the tasks that give you joy and revitalize you just when you need a boost of encouragement. If there's something you really love for work, position it at a time of day when you find yourself losing motivation. One of the first signs of burnout is feeling like you can't get anywhere in your work. If you're feeling stuck, begin by coming up with achievable goal, and then plot out incremental steps you can take to get to your goal. Are you a perfectionist? Many people who experience burnout tend to be perfectionists because they just don't know when to say enough. Recognize that it's okay to use a "good enough" solution rather than continuing to spend time on the perfect solution. Being exhausted on a constant basis is a major source of burnout. So make sure you give yourself little breaks to replenish your energy. Experts suggest a five to ten minute break every hour and a half to two hours. You'll feel reenergized and ready to take on your task again after giving your mind a little mini-vacation. Speaking of vacation, make sure you take time off on a regular basis. In addition to real vacations, use your lunch break to really step away from work, get a decent night's sleep, eat healthy, and exercise on a regular basis to continue to keep your mind and body in peak working condition. Need help finding a new #apartment that's closer to your work to cut down on commute stress? Austin Apartments Now can help! Give us a call today at 512-258-8224. Is your closet constantly disorganized? You may be making one of Apartment Therapy's closet organization mistakes. If you are trying to cram in more things than will ever fit in your closet, it's time to take a step back and decide whether you really need all those clothes, shoes and accessories. By regularly going through your clothes and donating what you don't wear as often, you'll make room for the belongings you love. If you're not switching out your wardrobe each season, chances are your closet is a mess. Either pack up your out-of-season clothes and put them somewhere else, or rotate them to the back of your closet to make room for the clothes you are wearing currently. Make sure you're using every square inch of storage space, from the back of the door to the tippy top of the closet. Using hooks or over-the-door shoe organizers, and shelves high up will maximize your storage. If you don't organize each type of object you keep in your closet, it's likely to become a mess. Make sure you have dedicated types of storage for each thing (scarves, bags, shoes, etc.) so you can keep them neat. The things you use or wear on a daily basis should be the easiest to get to in your closet so you aren't pulling things out and making a mess trying to get to those daily items. Finally, once you're done wearing something, put it back up! The biggest mess can come when you just throw your clothes or accessories on the closet floor. Looking for an #apartment with lots of closet space? Give Austin Apartment Specialists a call today at 512-241-1111.